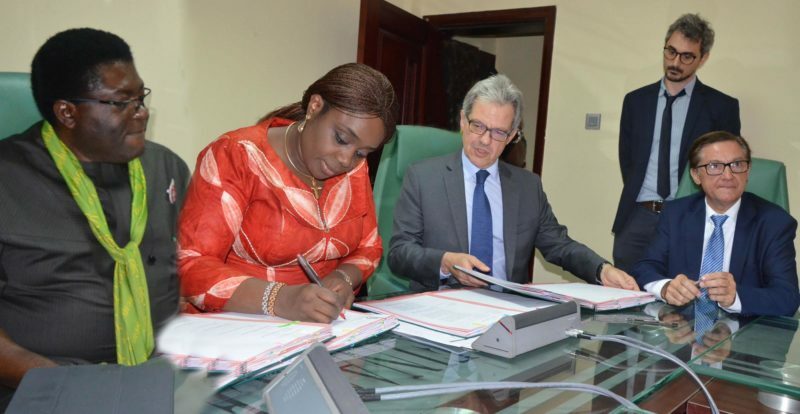 A delegation of the Movement of French Business (MEDEF), the first network of entrepreneurs in France, on Wednesday said that Nigeria would continue to attract more French companies. Phillip Labonne, The Head of the Delegation, according to NAN, said at a news conference in Lagos that Nigeria would continue to be a land of investment and opportunities for French companies. The Vice-Chairman of the Africa Committee of MEDEF International also said that the delegation was in Nigeria to assess the situation in the country and business opportunities in the country. “Nigeria is and will continue to be a priority for our organisation. Let me also say that Nigeria is a priority for other French companies. “We are here again to know what is currently going on in Nigeria. We have been to Nigeria five times now, because we see Nigeria as a leading country in Africa. “Our delegation is composed of a 30-participant business mission, representing large, medium and small-sized companies interested in the many opportunities offered by the Nigerian market,’’ he said. The head of delegation said that the outcome of their visits to the Lagos State Governor, Ministers of Finance and Budget and Planning, and the Nigerian business community were positive. Labonne said that companies on the delegation were from oil and gas, health, transportation, aerospace, infrastructure, logistics, banking and financial services, energy, security, agro-industry and engineering sectors. “We strongly think that working hand in hand with French companies can be a source of constant and long-lasting improvement in the quality of Nigerian economic growth. “This, we can do by bringing to our local partners what makes us different: local content, training, innovation and knowledge transfer,’’ he said. The Ambassador of France to Nigeria, Amb. Denys Gaver, also said that the delegation was visiting Abuja and Lagos, to explore investment possibilities and areas of partnership in Nigeria. According to him, more French companies are ready to partner with Nigeria in promoting her economy. “Nigeria for us has been a strong strategic political partner. We are also ready to partner with Nigeria in the economic sphere,’’ he said. Nigeria/France bilateral trade relations were at N750 billion (1.8 billion Euros) in the first quarter of 2017, thus making Nigeria France’s first commercial partner in sub-Saharan Africa.